For as long as I remember, Walkers Monster Munch have been among my all-time favourite crisps. If you’re us, sometimes you’ve tried crushing your crisps in the packet and putting them on a sandwich or just eating them that way. Now, sometimes there’s nothing better than crisps on a sandwich, but we recently discovered that finely crushed up Monster Munch actually make a great seasoning for burgers too. Not only that, but when crushed up into a powder, they also help bind your homemade burgers together! 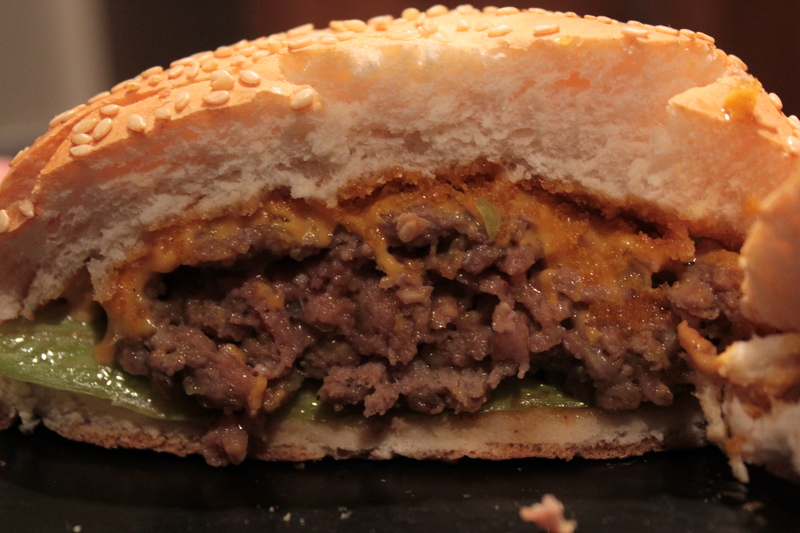 We decided to try this using the ‘Flamin’ Hot’ flavour and combining it with an easy homemade chipotle mayo for a slightly spicy burger; however, we’d imagine that the beef flavour would work pretty well too! This recipe is quick, cheap, easy and tastes great. Hope you enjoy it! 1. 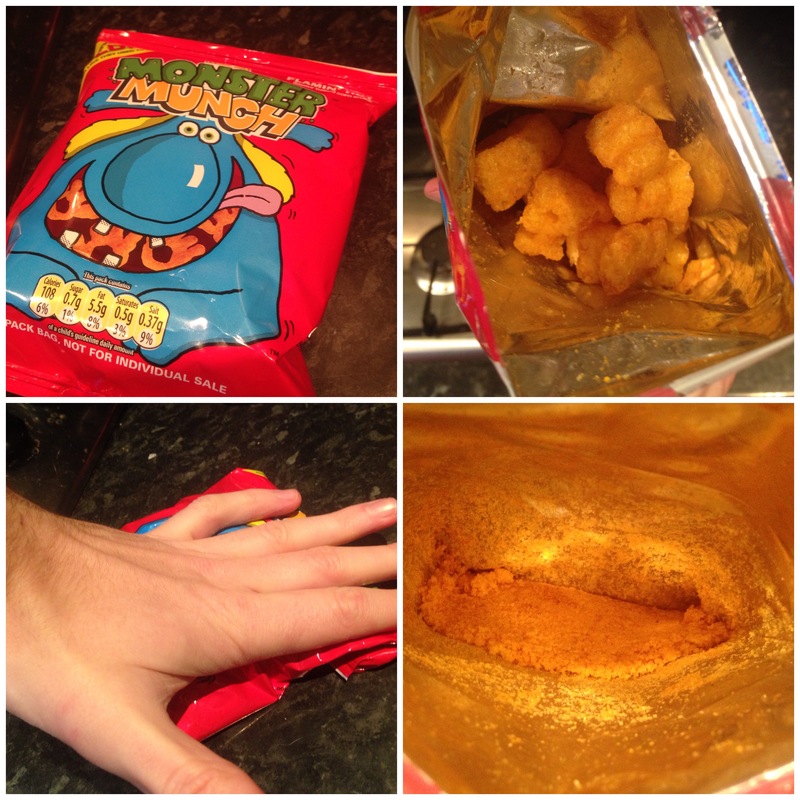 Open each packet of Monster Munch crisps, fold the top over so that nothing spills out and crush them together with your hands. You’ll need to do this for a good few minutes until both packets have been crushed into a fine powder (see photo below). Set aside for later. Crushing up the crisps (click to enlarge). 2. Place approximately 3 large tablespoons of mayo into a bowl and then add half a teaspoon of chipotle paste. Mix together well and set aside. 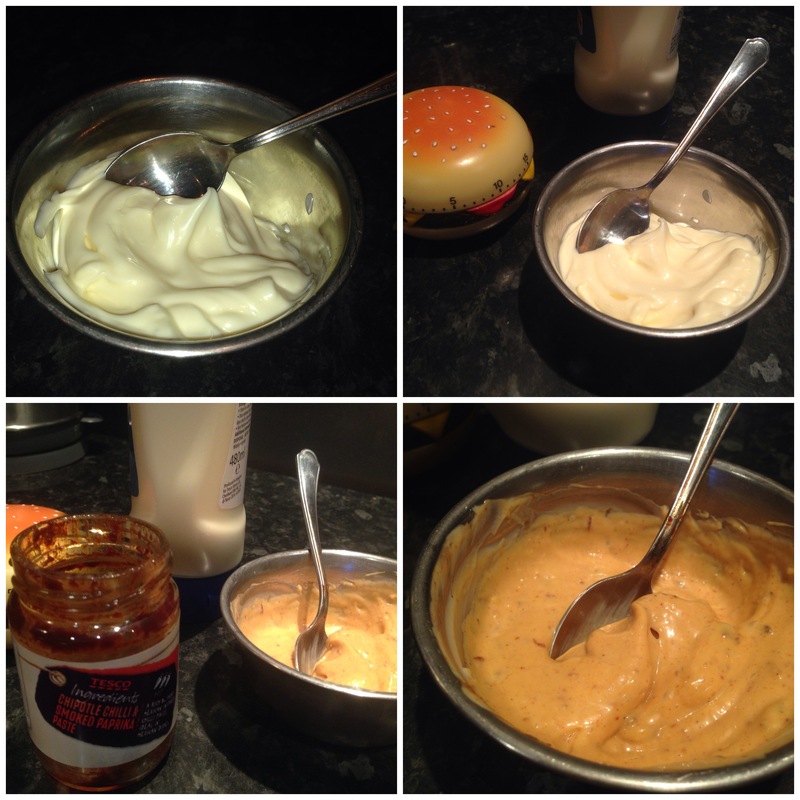 Preparing the chipotle mayo (click to enlarge). 3. 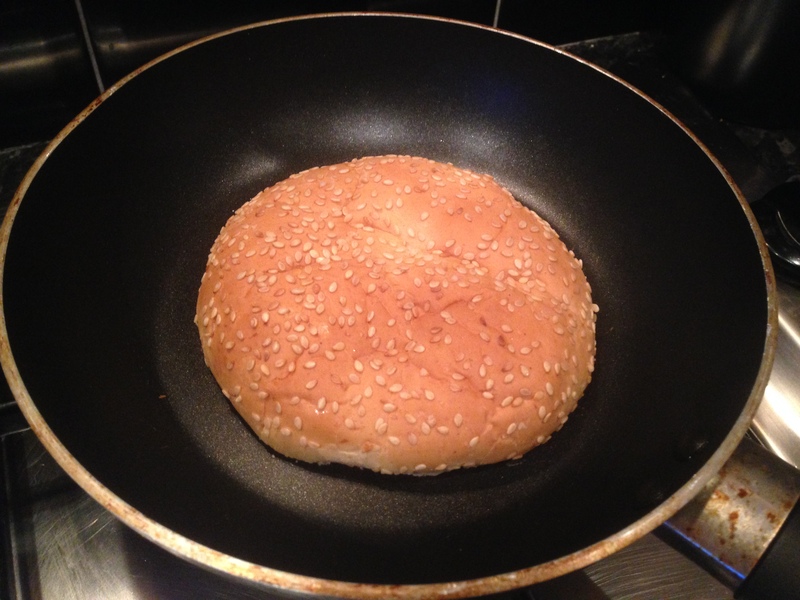 Slice each bun in half and place them face down on a dry frying pan, over a medium heat (as pictured below) until they are lightly toasted. Be careful, as these will toast quickly! Remove and set aside. 4. 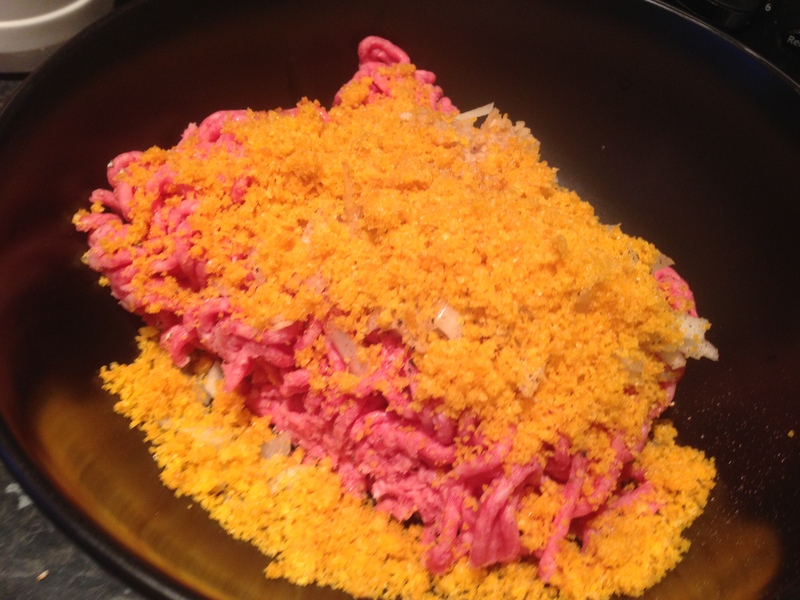 Combine the mince, salt, pepper, smoked paprika, cayenne pepper, onion, egg yolk in a bowl. Add the crushed Monster Munch but keep around half of one packet aside – you’ll need it at the end! Use your hands to mix together and form into four golf ball-sized shapes. 5. 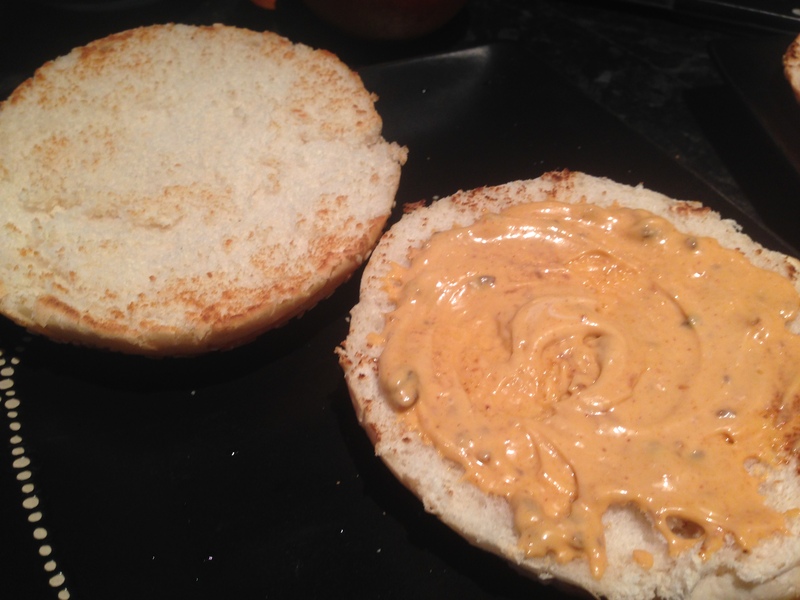 Spread some of the chipotle paste on the sliced buns – top and bottom. Then add some lettuce to the bottom half of the bun. Set aside (see below). 6. Pre-heat the oven. You’ll need it at the end. – Heat up a skillet or pan with a little oil. 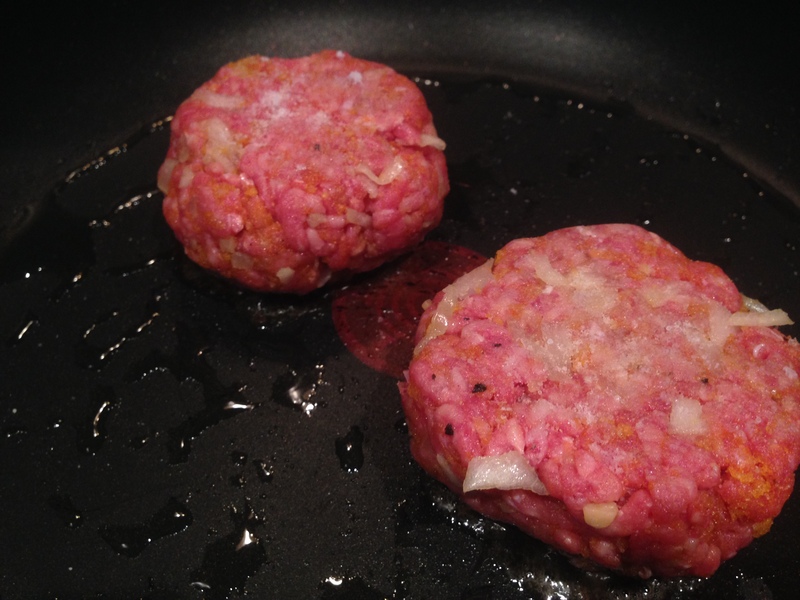 Take the mince that has been rolled into two equal-sized amounts and sprinkle salt on the top side only. Place the meat into the hot pan (salt side down). Cook for roughly one minute. – Sprinkle salt on the top and flip over. At this point you want to ‘smash’ the patty down. 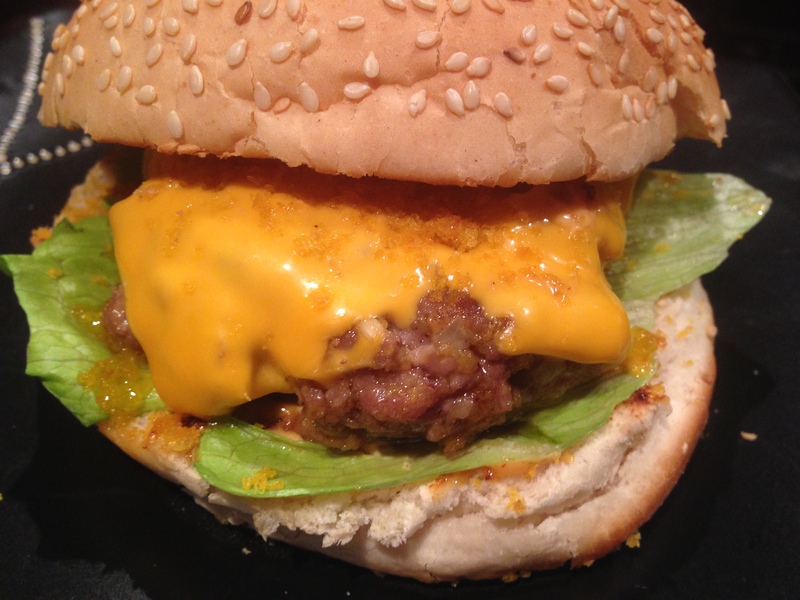 To do this, simply press down on the patty with a fish slice until it reaches your desired look. Flip and cook until done. – Flip and cook until done. 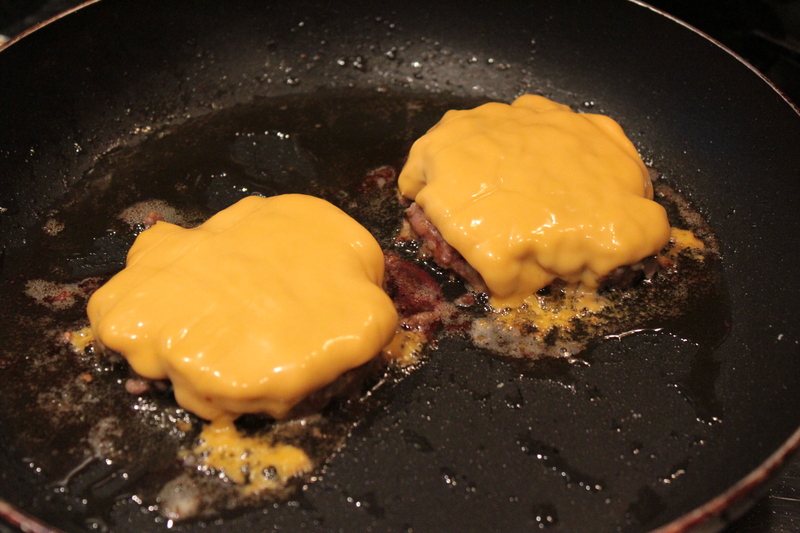 Add the cheese slices to the top of the patties while they are still in the pan. 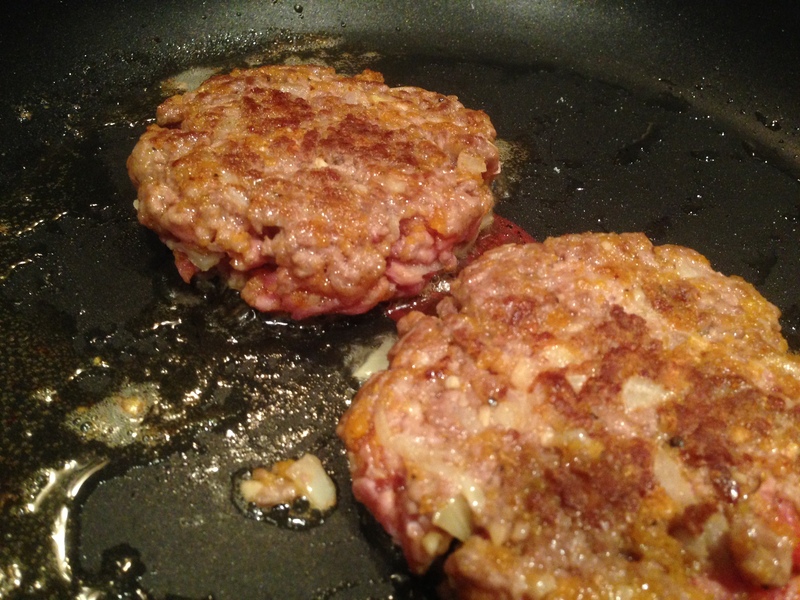 Once they start to melt a little, turn off the heat and remove the patties. 8. Once done, remove from the pan and place on the bottom half of the bun. 9. 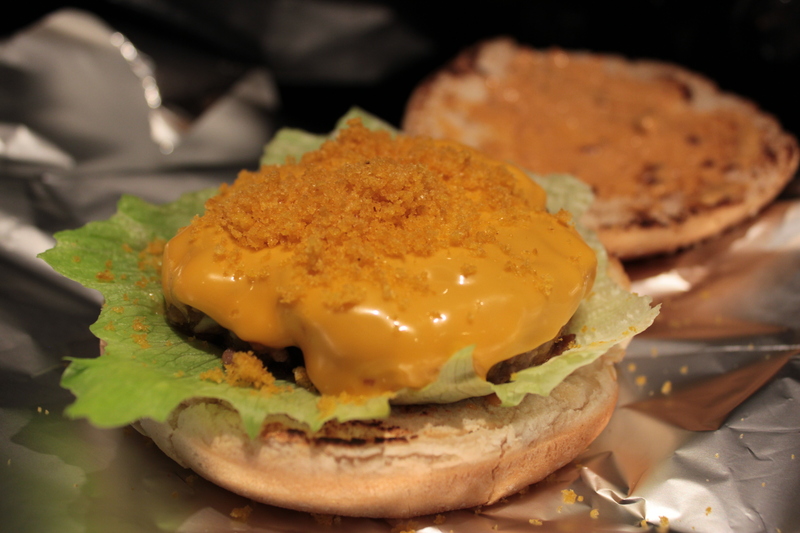 Take the remaining crushed Monster Munch and sprinkle it on top of each burger patty. Sprinkle the remaining Monster Munch on top. 10. 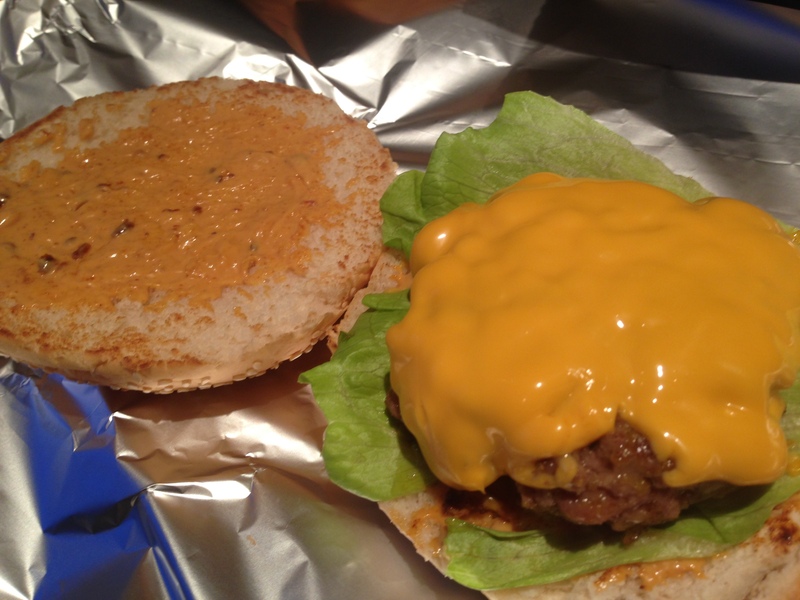 Lightly wrap the burgers in tin foil and place them on the bottom shelf of the oven for a few minutes. This will heat the entire burger a little more and further melt the cheese, meat and toppings all together for a great finish. Inside the Monster Munch Burger. When I read the title I assumed that those late-night NBA fests had sent you potty! But reading on, using Monster Munch powder as a sort of rusk smacks of genius. Good work! This is such a unique recipe! Permission to perhaps try out this recipe and blog about it? Credit would be given of course!